I hope your guys’ Memorial Day weekend is off to a good start! I got off to an early start having a half day at work yesterday and heading out of town early afternoon – I’m off until next Tuesday so I can’t wait for the next four days! 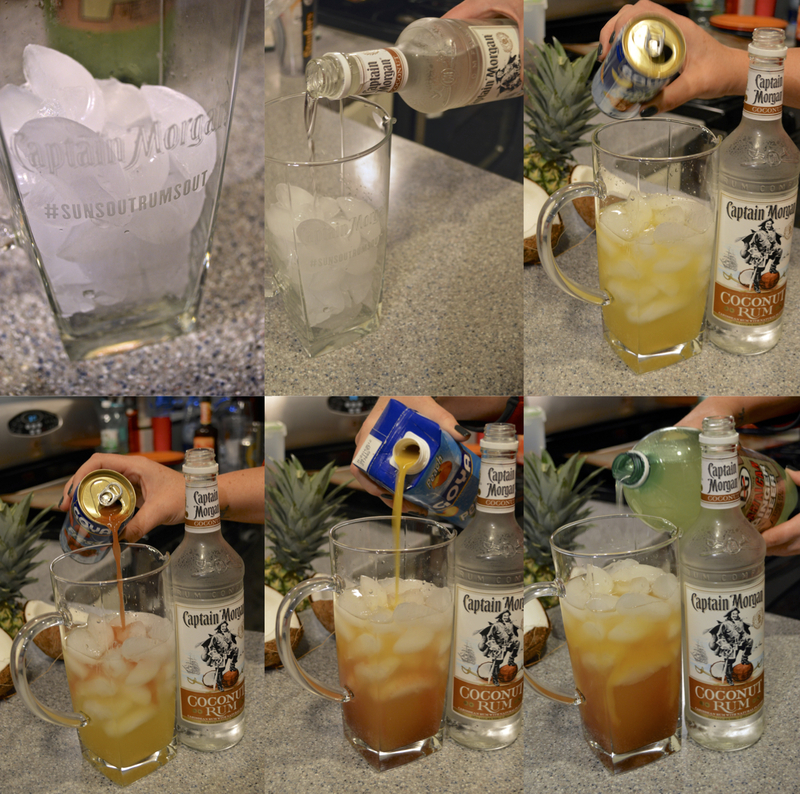 You all have heard me sing the many praises of Captain Morgan’s new flavored white rums (and I hope you guys tried my pineapple mojito recipe!) so I am crazy excited about this latest project! 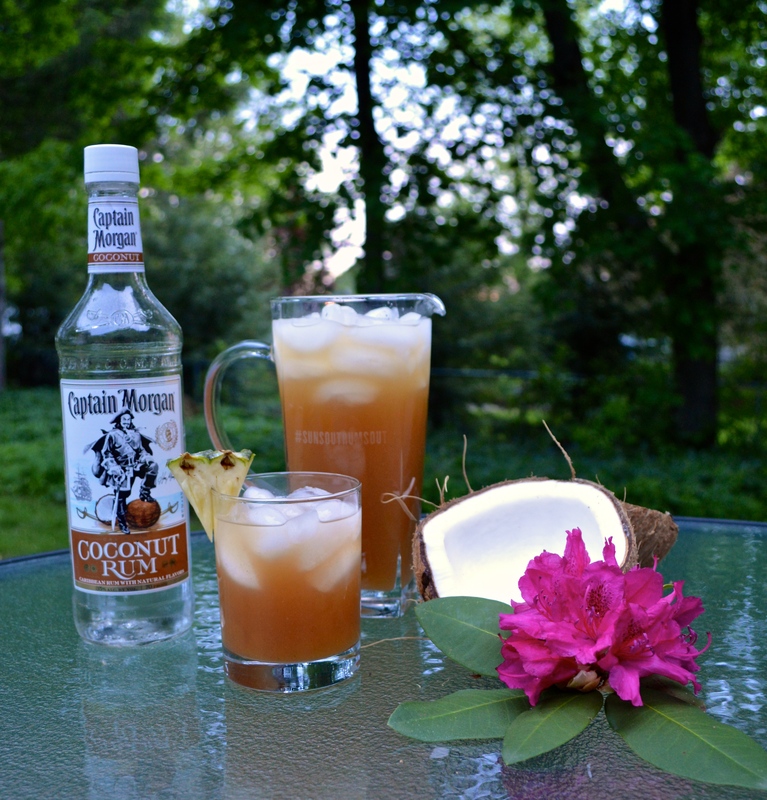 For memorial day, they are having a fun competition with some select influencers and asked me to come up with an original rum punch recipe using one of the 3 new flavors. When I got the package in the mail and saw the pitcher with the hashtag #sunsoutrumsout I couldn’t stop laughing, what a great idea by their marketing team because I haven’t stopped saying it for days! So you know I love all the new flavors but I chose coconut for this recipe because I think that one goes really well with a lot of different kinds of flavors. 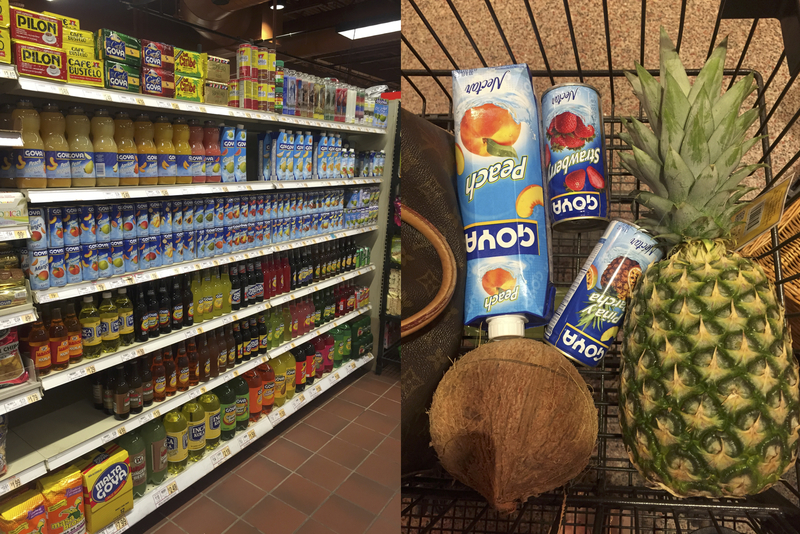 I didn’t want to go with the usual suspects as far as juices and mixers so I went off to the grocery store and stood overwhelmed in the international section for a while … there’s so many options to choose from! I knew I wanted to do a combination of nectars because the flavor would be more intense that way than it would be if I just used juices. I also knew that this would mean the mixture would be sweeter than I’d probably want it to be so I also wanted to grab some ginger beer and limes to cut through that. I decided on peach, strawberry + pineapple/passionfruit nectars, the ginger beer and some other items for picture taking purposes! The cool part about this recipe is that you can pick nectars based on your taste preferences – just pick three different fruit flavors you love that sound like they’ll combine well together and go with it! 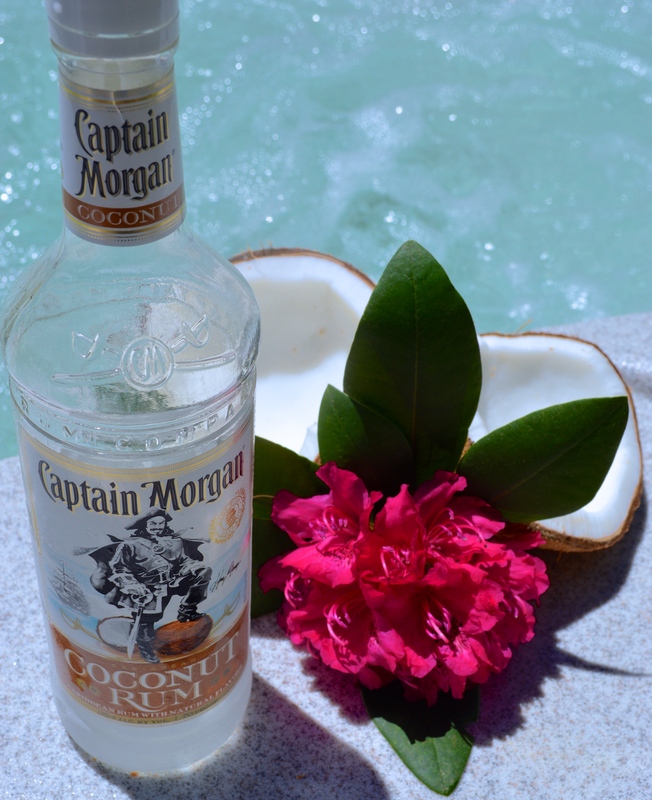 Fill up your pitcher with ice and add your Captain Morgan Coconut Rum, I used 8 oz but you can use more or less depending on your taste! 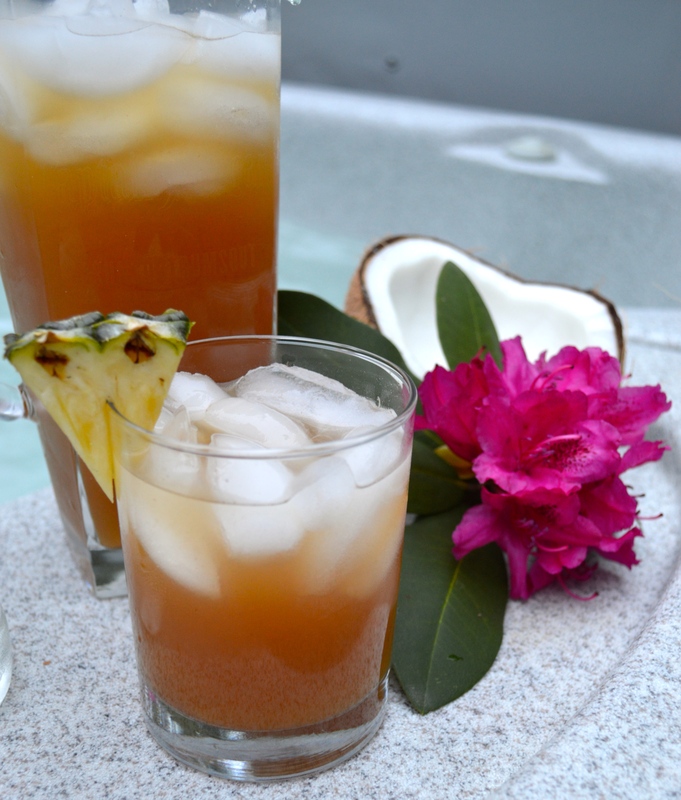 Next add in your nectars – I used 4 oz pineapple/passionfruit nectar, 4 oz strawberry nectar + 6 oz peach nectar. I topped the punch off with some ginger beer which you have to be careful with – add too little + you’re punch will be too sweet but if you add too much, it’s all you’ll be able to taste! I suggest pouring in a couple ounces, mixing + then tasting with a straw… keep doing that until you have it just right! I then took 1 fresh lime and squeezed the juice into the pitcher. Stir everything up well and you’re ready to enjoy!! This punch was a big hit and a perfect way to start off our Memorial Day vacation, we had fun styling the photos to! 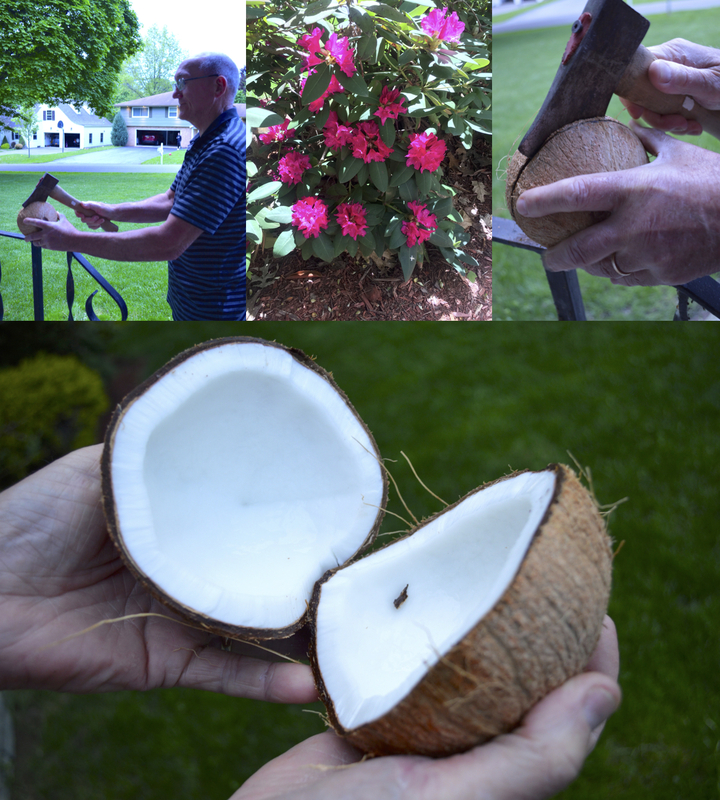 I brought these “easy crack” coconuts but my dad earned some style points busting it open with a hatchet! His rhododendron bush he planted in their front yard also came in handy! What are you all up to this weekend? 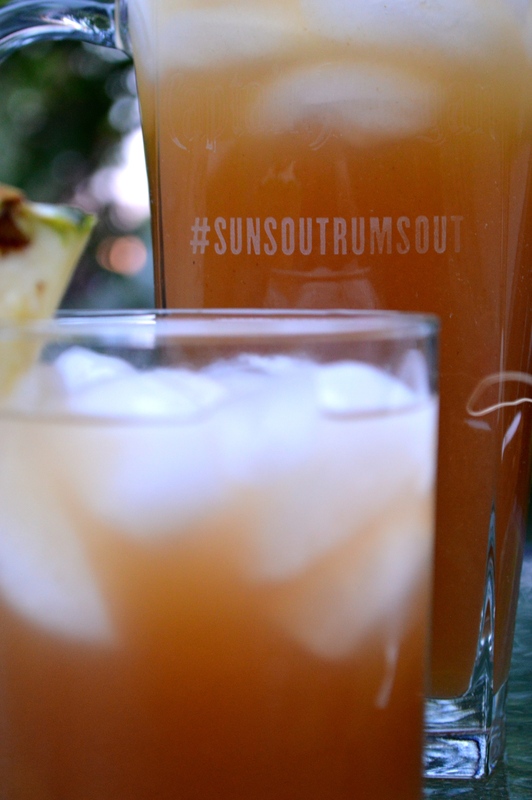 If you guys try out this recipe or any cocktails with the new Captain Morgan flavored rums, tag me and use #sunsoutrumsout so I can see!! Happy Memorial Day! 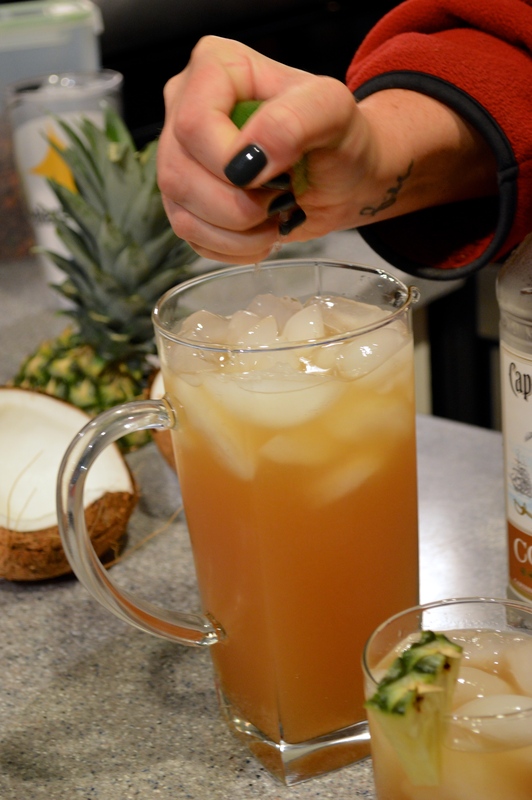 Fill a pitcher with ice and combine all ingredients.